On 6 February this year, Facebook’s COO, Sally Sandberg’s non-for-profit, Lean In, launched #MentorHer, an initiative to counter the hashtag campaign #MeToo. Sandberg believes that #MentorHer will bring parity and balance the scales with #MeToo, the hashtag that went viral the world over with hordes of women (and some men) speaking up about sexual harassment and assault. Well before hashtags were used, Tarana Burke coined the phrase Me Too for a campaign to express empathy for, and solidarity with, survivors of sexual harassment, especially those who are underprivileged socially, economically or due to race and rank, for women of colour, especially minimum wage earners and underprivileged women, who had experienced sexual harassment/assault. Alyssa Milano’s #MeToo in October 2017 was a call-out to women, to speak up against sexual harassment to show the extent of the malaise in the US. #MeToo has received both support and criticism the world over. It’s been termed liberating, dispiriting and uncomfortable all at once. 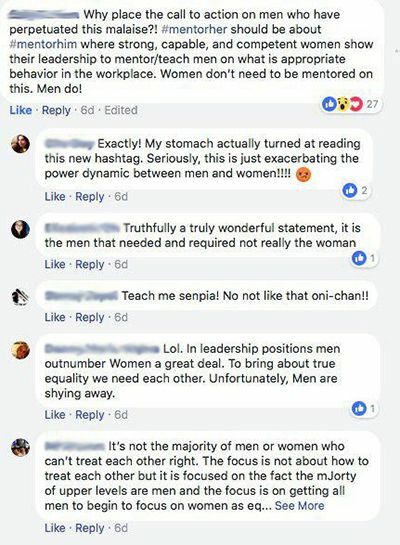 Women responded with personal accounts of sexual harassment; men responded with like episodes, pointing out that men too have been victimised; several believed that it was a huge over-reaction. At Influx, we took a stand to support #MeToo; we have zero-tolerance for sexual harassment in any way, shape or form. Influx is safe and mentoring is something both men and women do, depending on the need. Sandberg’s campaign is a call-out to men to mentor women for greater parity in the workplace. She has the backing of several C-Suite executives including FB’s Mark Zuckerberg, who shared Sandberg’s post on 7 February and expressed his support for #MentorHer. His post drew varied responses ranging from being “ridiculous” and “divisive” to complete support and everything in between. Following the reactions online, it looks like #MentorHer hasn’t gone quite as viral as #MeToo did, although it has garnered the immediate support of 38 prominent leaders and CEOs. Sandberg says this means that women are not receiving “valuable interaction” from men. The result is more polarisation and that is what she is hoping to address. I doubt there is an employee out there who thinks mentoring per se is not necessary. It’s good and it’s necessary. #MentorHer is fine on the surface; if the campaign works, it would certainly help to level the playing field. Since more men hold high positions than do women, there will be more mentors to go around who can help junior female colleagues get promoted to senior position and leadership roles purely on merit rather than for sexual favours granted. 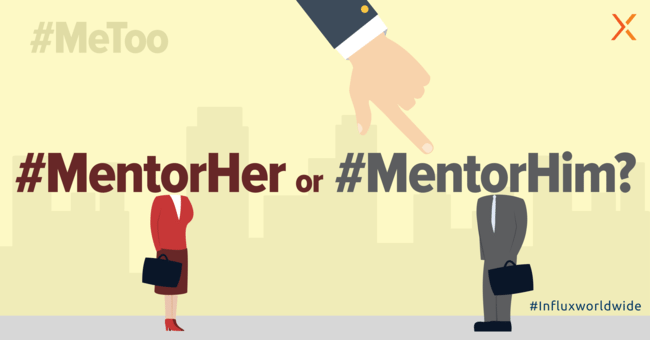 Beyond this, what is the point of #MentorHer? It does portray women as weak and in need of mentoring by men — in general and not specifically in the workplace. If the crux of the issue is sexual harassment and how to stop it, why is men mentoring women the solution? 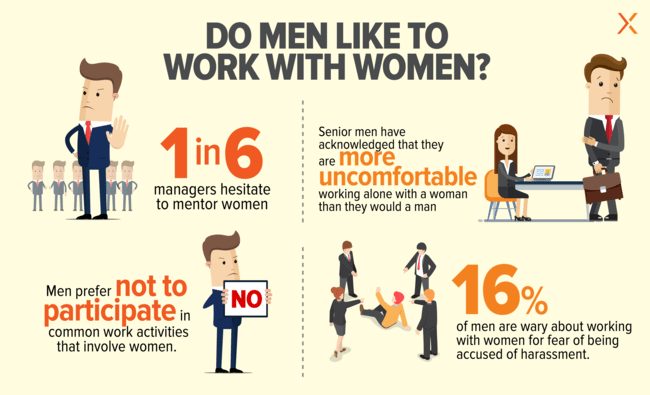 If a man already has a mindset that makes him prone to taking advantage of the women he works with, how is that going to change when he becomes mentor to a woman at work? Sexual harassment is a deep-rooted problem that’s very complex in its construct. Several men have spoken out about their own experiences with such harassment both from their own as well as the opposite gender. As with any movement, there have been untruths and exaggerations in some women’s accounts of sexual harassment. The WHO reports that one-third of women the world over have experienced sexual harassment of some sort or other, and a great percentage of these have not come forward to speak of their own experiences. Think about what this means. The male of our species will benefit considerably with mentoring from a woman or a man that reinforces respect for others, their personal space and their right to say, “No”. At any rate, why should mentoring be gender-related at all. Why portray the woman as weak and in need of a man to mentor her? Wouldn’t a female manager (although her tribe is smaller in number) do just as well. The mindset must change for sexual harassment/abuse to end. One suggestion in response to Zuckerberg’s post was that #MentorHIM might be good idea. In the US, #MeToo and #MentorHer especially seek empathy and support for the woman of colour who is more vulnerable to harassment and/or assault than are her white counterparts. In India, the problem is also one of cultural conditioning that is further vitiated by caste, creed and colour. Further, it takes on a different proportion altogether in rural India where the majority of women are illiterate and are not aware of their rights or where to seek redressal. With more and more women joining the workforce, harassment from male colleagues/managers is quite common in India. It was only in December 2013 that Parliament enacted the Sexual Harassment of Women at Workplace (Prevention, Prohibition and Redressal) Act following the PILs filed after the Vishaka & Others vs State of Rajasthan. The Vishaka Guidelines were laid down after this 1997 case, became the basis of the legislation that Parliament took 15 years to pass into law. Up until 2015, only 35% of companies in India were compliant with the law. The critically acclaimed 2016 film, Pink, was specially screened for the Rajasthan police force to sensitise them to the constitutional rights of women to gender equality, equal opportunity to work, and human dignity. The film highlighted a woman’s right to say No shot down the standard “justification” of “she asked for it”. ‘Survival of the fittest’ is the law of the jungle. More often than we like, this is true in the corporate jungle as well. But we are in a new millenium and think we have advanced greatly in every respect including creating alternate intelligence. Yet, at the most basic level, at the core, we haven’t really changed if men continue to harass women and reward them (or not) based on favours granted. Something is dreadfully wrong with a society where those in power think they are invincible and can do whatever they will. Something is lacking in the way these people have been parented and/or schooled. Yes there is. #MentorHer will have an impact but it will be minimal at the most. Respect for another, regardless of gender or orientation, must begin right at home, and in the classroom (yes, from kindergarten), where young minds are educated to understand that they have no right to violate or humiliate another. Culture classes and open discussions will help everyone air their views and understand the boundaries, what’s negotiable and what is not, and that a “No” does not mean “No”. Then they can take it forward to the workplace and wherever else they are, and be secure, confident, productive people who do not bully or intimidate others, but rather mentor others to realise their full potential. Mentoring is not gender-specific. Women can mentor as well as men can. Regular gatherings in the workplace where matters are discussed openly can nip many an unpleasant situation in the bud. Finally, #MentorHer, as a notion, is fine. But, as we asked in our first post, is it going to solve the issue of #MeToo? Vaidehi Mehta is our very “propah” Content Strategist. She is a teacher and trainer with degrees in Economics, English and Education. Vaidehi spends her time at Influx curating and writing content, and correcting everyone’s English.